Please click above for Livtar Singh's kundalini community shop. We will be offering a more comprehensive i-SKYshop in association with Livtar Singh in the future but meanwhile the small selection of things supplied directly from the i-SKY office is listed below. Please note that postage quoted is for U.K. delivery, if you wish us to deliver beyond mainland U.K. please contact us for a quote. The Kundalini Yoga Experience by Guru Dharam Singh & Darryl O'Keeffe was specifically written for those who did not have a local teacher to guide their practice. Kundalini yoga engages your unique sources of energy, those that empower your spirit as well as your body. Drawing from the riches of ancient yogic tradition, The Kundalini Yoga Experience offers a system of physical poses, breathing techniques, and focused meditations which deliver vitality and awareness. Please note this USA edition is exactly the same book as Kundalini the Essence of Yoga - originally published in the UK with a different title and cover but identical inner pages. After reading the review for this book I was really looking forward to receiving it and having a good read! It arrived and I have read and thoroughly enjoyed it. Though that is certainly not where it ends with this book, it is just the beginning as this book will be a lifelong practice companion to access and reference. I connected with the book and found it easy to understand. Instructions are clear both in written description and photographic demonstration. The book also includes some beautiful, clear illustration. I worked through the book and could not believe how very accurate the numerology was for me, I was amazed! I am looking forward to starting my first 40 day meditation soon after I have completed my current one. I was very impressed with the chakra questionaire too, it is a great way to help you to decide what you want/need to work on when choosing you kriya's. There is a good introduction which includes the essence of yoga and information about Yogi Bhajan, I found it particularly interesting. Then Part 1 of the book covers Yogic Numerology, how to work out your numbers and what your numbers are and then directs you to the section where you find your numbers and related area and see if you need to work on them at this time...I found this really interesting and accurate for me. The Chakra system is next and covers all of the chakras and what they relate to and how to tell if they are in or out of balance, then a chakra questionairre that identifies what you need to work on. 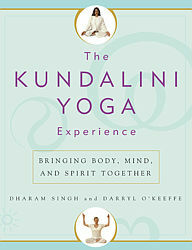 Part 2 of the book is about your practice, the Kundalini yoga experience and your personal preparation. Part 3 of the book covers the Kriyas and Meditations starting with a Kriya and Meditation for everyone that can be done everyday. Then there are Kriyas for working on each of the chakra's...these are clear and easy to follow. Then there are the appropriate Meditations for working with the numerology and your identified area that you need to work on. Part 4 of the book covers the components of Kundalini Yoga : breath, mantra's, mudra's, asana's and bandh's...this is an interesting, clearly illustrated and described section. The book ends with a glossary and bibliography and a section about the authors which I found interesting to read. I am very impressed with the book. It is a comprehensive companion to my daily practice and offers guidance to enable me to practice safely and within my own limits at home. 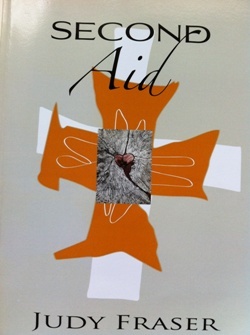 Second Aid is a self-help manual focusing on communication and relationship issues. It is designed to unlock your own life path and is an accompaniment through the difficult processes of change. "I'm taking charge of my life".....well , as we all know the doing is always so much harder - So here's the manual to help! As unique individuals with unique requirements we all need a helping hand to assist us in deciding the next steps in fulfilling our potential.Judy Fraser's Second Aid approach provides such help and guidance in a straight forward , accessible and yet thought provoking way.Through increasing our awareness of the linkage of the mind , body and importantly the spirit , Second Aid teachings inform the growth of intuition and allow the individual to increasingly become more self aware ,self caring and self loving. The Soul Searcher is the prequel to Second Aid, the story of Judy Fraser's life and the reason she came to develop such a manual of Life Management. 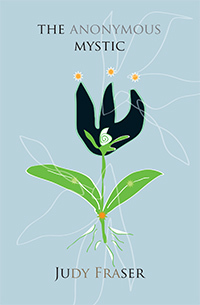 Anyone who has had the good fortune of collaborating with Judy will describe how down to earth, practical and deeply giving she is, while at the same time extremely knowing, and this book provides the context and background for how she seems to be able to pinpoint accurately and quickly just what is going on and what the issue is. It is an easy book to read while at the same time being quite challenging. How can someone who has had to deal with so much right from the word go remain as open and generous, and not drown in a series of misfortunes and difficult episodes. She has been able to describe the ups and downs in her life in a very readable package, and it explains why she has so much to offer to anyone with curiosity about consciousness and solutions to life's problems when conventional approaches have failed. This book is accessible and straightforward, and highly recommended. The Anonymous Mystic is a guide to putting meditational instruction to work within one’s life, in a manner that proves to be useful to you and others. Once you ask that question, well, my friend, that is when the fun begins! It does not matter if you are a single parent or not; it matters not one iota if you are male or female, young or old, atheist or Christian, educated or uneducated. What matters is that you realise life is a glorious thing with untold treasures to offer, and the best way through it is to embrace it, to see the endless beauty and good within it, and to find out how to get the most out of life. Judy Fraser is a rare being, someone who has been able to traverse spiritual knowledge, live it, and generously create a map for others to follow, shining a torch for others, when it gets just too dark to see, no matter what colour, culture or religion. She gives us sublime practices that, if followed correctly, will align us to our Destiny and not our Fate. 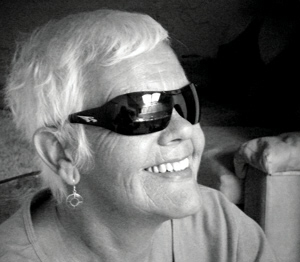 You can visit Judy's IACTM profile here.